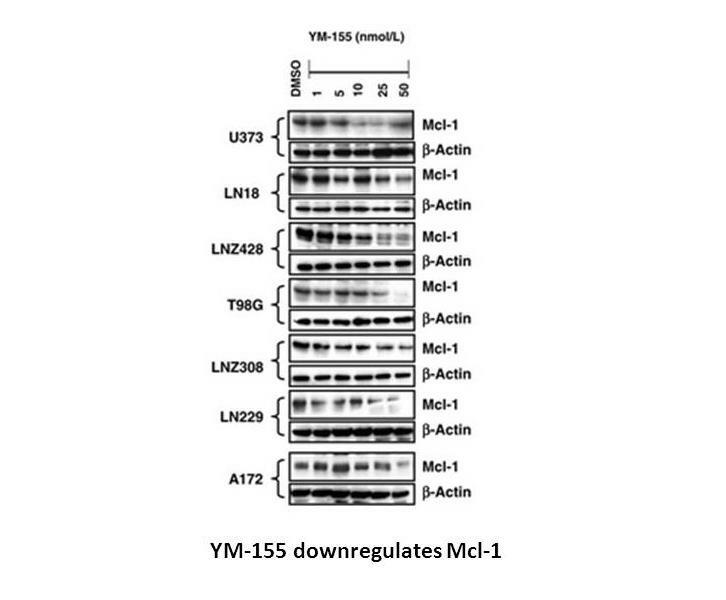 2.GAO, JH, et al. 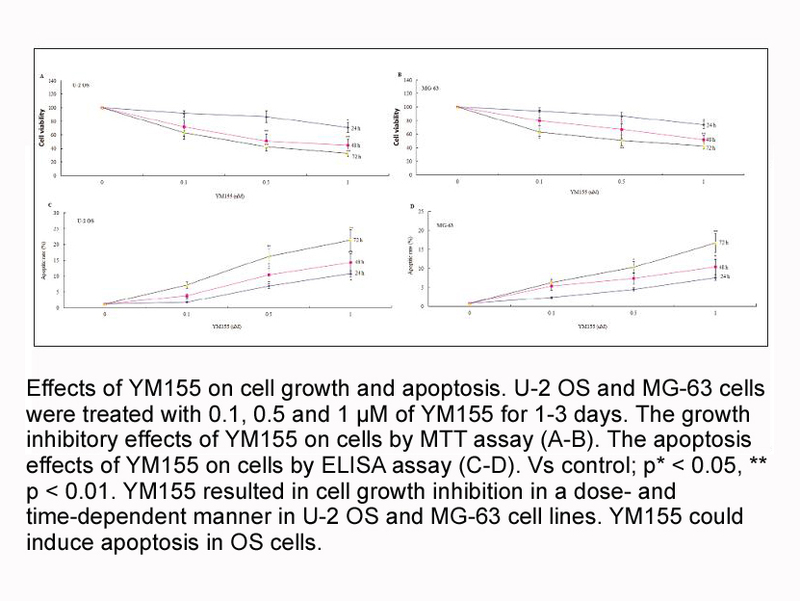 "YM155 inhibits tumor growth and enhances chemosensitivity to cisplatin in osteosarcoma." 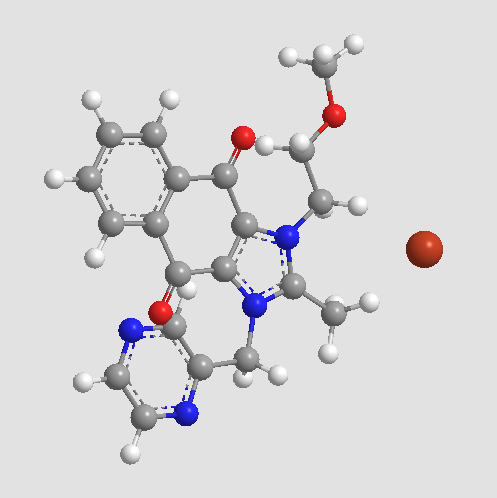 Eur Rev Med Pharmacol Sci 19.11 (2015): 2062-2069. Nakahara T, Takeuchi M, Kinoyama I, et al. 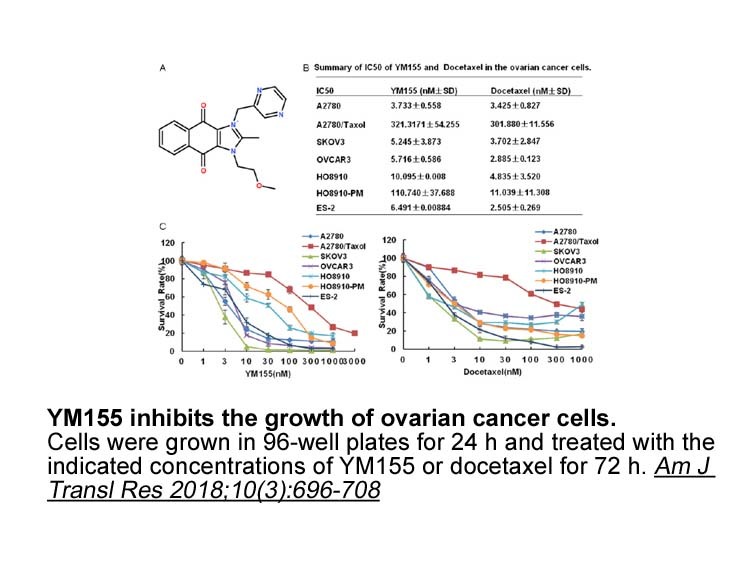 YM155, a novel small-molecule survivin suppressant, induces regression of established human hormone-refractory prostate tumor xenografts. 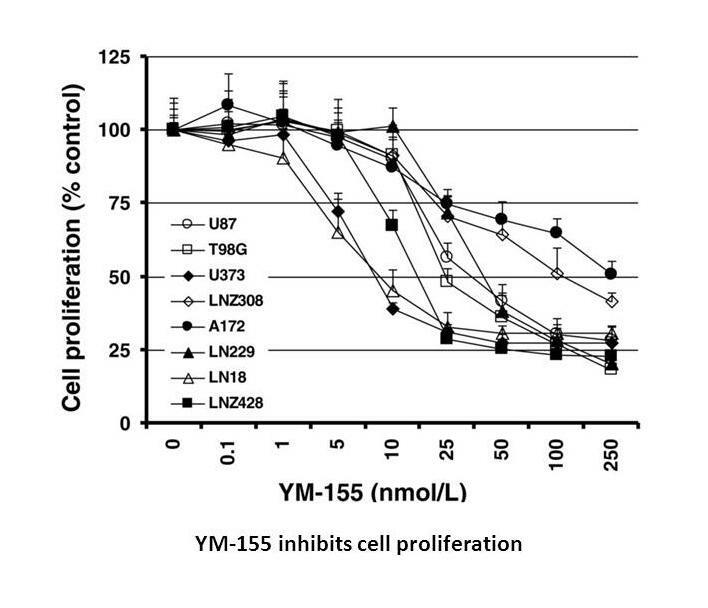 Cancer research, 2007, 67(17): 8014-8021. Naoki Kaneko, Kentaro Yamanaka, Aya Kita, Kenji Tabata, Takafumi Akabane, and Masamichi Mori. 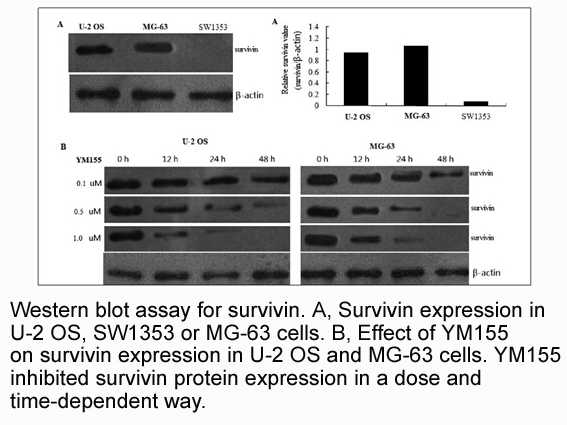 Synergistic antitumor activities of sepantronium bromide (YM155), a surviving suppressant, in combination with microtubule-targeting agents in triple-negative breast cancer cells. 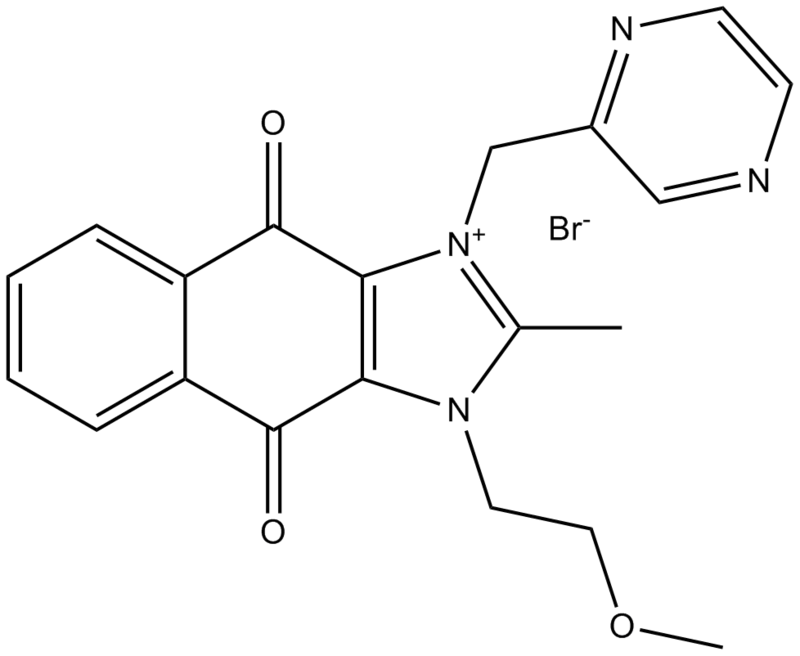 Biol Pharm Bull 2013.